Irapuato - Salamanca Yellow Pages and White Pages. The quintessential information authority to do family genealogy research, find family, friends, birth parents, and businesses in Irapuato. Irapuato is in the Mexico state of Guanajuato and south of Leon. The Irapuato Phone Book is one of several telephone directories that cover Guanajuato. The Irapuato Phone Book contains both Yellow Pages and White Pages. 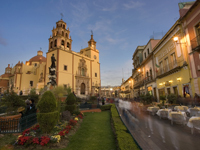 This telephone directory also includes several surrounding cities such as Salamanca. Several other telephone directories cover the state of Guanajuato such as the Leon, San Miguel de Allende and Guanajuato Phone Books. in Irapuato - Salamanca with Mexico Yellow Pages and Whites Pages.